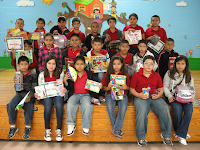 John & Olive Hinojosa Elementary rewarded their kinder through fifth grade students on Wednesday, October 13, 2010 with prizes and certificates for making "A", "A & B", and "B" Honor Roll for the first six weeks. 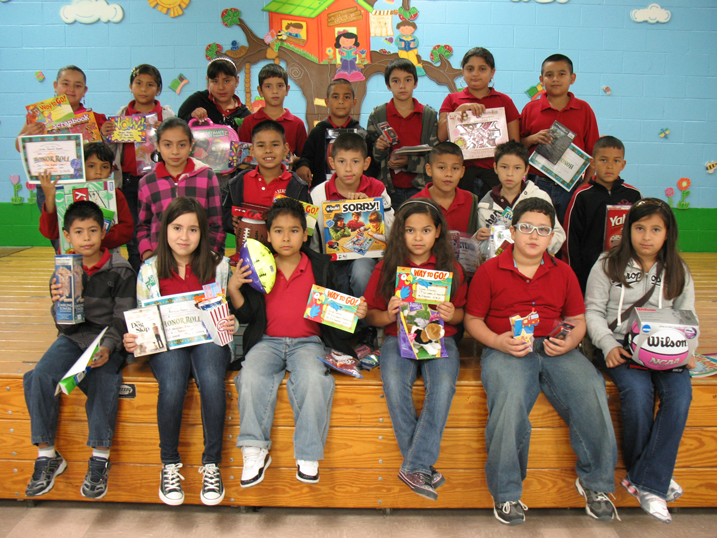 Pictured above are students from third through fifth grade who won gifts during a raffle held towards the end of the ceremony. These gifts are raffled amongst all qualifying students to motivate them to perform well academically throughout the six weeks.